Finding its voice: What’s the future of news on smart speakers? Audio content is having a mini Renaissance. Between radio’s strong showing in adspend predictions for 2019, the steady maturation of the podcast market and the strong showing for audio as a secondary activity, there is a strong case to be made that audio content is a sure bet for media companies. That’s helped significantly by the mutability of audio content. Music, radio shows and podcasts tend to bleed into one another, with each existing alongside the others on Spotify, DAB and any number of streaming services. That makes the relative lack of success of news content on connected devices and smart speakers all the more marked. Emarketer’s predictions suggest that the number of smart speakers in US households is set to rise from 16 million to 76 million between 2016 and 2020, based on “stronger than expected uptake” of the devices. Have Amazon, Facebook and Google learned anything from cases of data misuse? After the Cambridge Analytica scandal earlier in the year, you’d expect that platforms like Facebook would be rather more careful about how it exploits user data. Research has shown that consumer concerns over misuse of user data is one of the primary reasons why people choose to use ad blockers, and since user data is effectively the commodity on which the platforms operate, any further scandals are likely to have a cooling affect on their business models. Earlier this month a study from Pivotal Research Group found that people were spending less time across Facebook’s platforms (though it couldn’t say if that was specifically due to associaion with Cambridge Analytica). No doubt you’ll have seen the latest Facebook controversy (no, not that one): the social network didn’t let news publishers know about a bug that discounted people who watched less than three seconds of video, thereby artificially increasing the statistics around how long people were consuming videos on average. As a result, some people are claiming that Facebook effectively created the pivot to video that saw newspapers and magazines shed tons of editorial roles in favour of video teams, to cater for this new audience demand for video content. Some are even suing Zuckerberg’s brainchild over it. Due to all the broken promises and missed expectations that came with news publishers’ rush into video, it’s easy to forget that the reasons behind the drive to produce more digital video were sound: consumers are viewing ever more video online across OTT services like Netflix, user-generated-content platforms like YouTube, and livestreaming sites like Twitch. Even if the figures around view time were skewed, the trend is undeniable – one of the worst affected companies, Mic, even claims that the inflated metrics weren’t even a consideration in their own change towards digital video. This week The Washington Post announced its ambitious plans for broadcasting on Twitch. 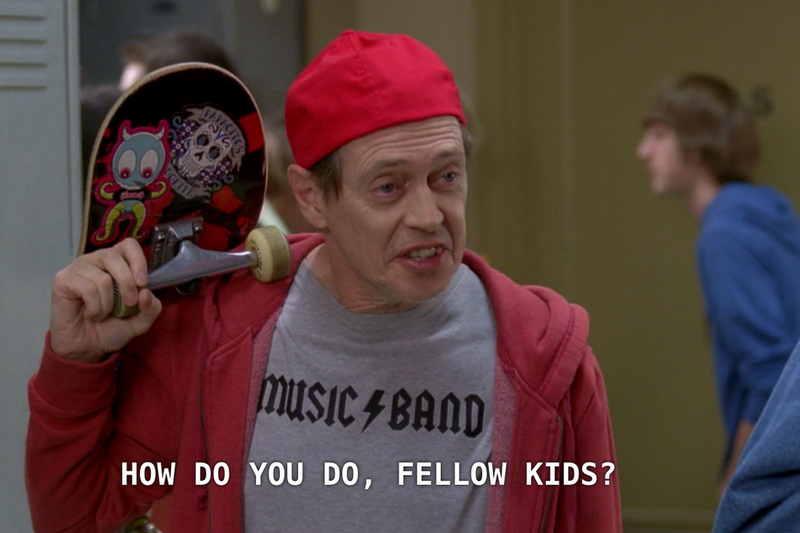 In acknowledgement of Twitch’s primary audience, one of its two new shows will feature hosts from the Post playing video games alongside politicians, an idea that has ‘Steve Buscemi in 30 Rock‘ written all over it. The other show is set to be an irregularly scheduled live news show – and we’ve spoken about the challenges around digital news video before. With all the noise from Google and Facebook over projects to help fund journalism, from the Digital News Initiative to Facebook’s forays into funding local journalism, you might think that those giants are finally putting their weight behind an industry that they’ve been accused of undermining. Similarly, as publishers abandon scale in pursuit of subscription models, you can easily believe that news publishers and search and social giants are no longer in direct competition for ad money and that therefore the lopsided competition between the two is at an end. George Orwell wrote that jargon and obfuscating language contributes to the degradation of the English language to the point that meaningful dialogue is impossible. He might have had a point, too: The term ‘fake news’, which the Reuters Institute recommended should be stripped from conversation around online misinformation, was meaningless almost as soon as it was born, allowing it to be hijacked by politicians with an anti-media bent. One of the people who coined it, BuzzFeed’s Craig Silverman, has admitted culpability in that (though he can’t really be blamed for not predicting how it was to be co-opted), and I’ve been arguing it should be retired as a term since August of last year. Because it was jargon, ‘fake news’ has made discourse about misinformation impossible. Only one week since we mooted the possibility that 2018 would be the year Facebook and Google would be held to account as publishers, Mark Zuckerberg stymies our plans for a part two by announcing that Facebook would no longer be a platform for quality news. It’s hard to imagine a neater sidestepping of an issue. Late last year a taxi drivers’ organisation in Barcelona successfully challenged Uber’s assertion that it is not primarily a transport company. The European Court of Justice ruled in the taxi drivers’ favour, throwing out Uber’s argument that it was first and foremost a digital service, noting that since Uber was central to the operation of the taxi-like service, it was more than simply an intermediary. As early as 2015, media companies had a sneaking suspicion that third-party platforms might not have their best interests at heart. The term that got bandied around to describe Facebook and Google was ‘frenemy’. Not even a handful of years later, the rhetoric is less ambiguous – the platforms are the feudal lords, and publishers are the serfs allowed to till their land. The pushback against that situation is now underway – through campaigns organised by the industry, through lawsuits designed to level the playing field, through dialogue with the platforms – but the truth is that the power balance is still skewed against publishers. And it was a situation that the publishers should have (and probably did to some extent) see coming. Journalism trainer Adam Tinworth points out that Facebook had already done exactly the same rug-pull with marketers, but unfortunately, the promises of revenue from the tech giants ultimately proved too alluring for publishers. Why has Verizon paid $4.8bn for Yahoo? So Verizon has been at it again: bagging a former digital behemoth for a fraction of its peak market value in the hope that some of the old magic remains. Last year, it bought AOL for $4.4bn – a tiny percentage of the company’s peak valuation of $160bn – and then last week, it bought Yahoo for $4.8bn. To put that in perspective, Microsoft offered $45bn for the business in 2008, but was turned down by the Yahoo’s then management on the basis that the business was worth much more. Way to go, as they say in Silicon Valley. If the audience hates ads, what does the future of digital advertising look like? Last week, Martin wrote about how necessary content could make it simpler for B2B media firms to carve out a significant piece of the digital landscape for themselves. The problem for a lot of content businesses, particularly consumer-facing ones, is that despite the merits of what they produce, it’s not essential for their readers. What can we learn from media changes in the 20 years since I became a headhunter? 2016 marks twenty years since I became a headhunter. While that makes me feel incredibly old, it has been a fascinating time to be an observer of the media landscape across the UK and beyond. When I first started, the internet existed, but was a hard-to-use and limited resource with dial-up access. Email also existed, but not in my office (we relied on faxes). Things were changing, yes; but no-one had really grasped the magnitude of what was about to happen. It’s just a supermarket, right? According to Angela Maurer, it’s Head of Innovation, Tesco is also a technology company set on developing the future of retail – and that includes experimenting with grocery shopping via a Google Glass concept app. It is an over-simplification to say that businesses behave and grow like people: from selfish baby, to disruptive toddler, to self-conscious and defensive teenager, to the increasing comfort and complacency of the twenties, thirties and forties. Still, I’ll stick with it. And I’m intrigued, at the moment, by the transitions between stages. There have been many examples in recent months of businesses which have attempted to grow up. And some that just haven’t tried. Children in their early years expect everything to be given to them, and – despite last year’s John Lewis advert – expect to give nothing in return. Matt wrote yesterday about Xavier Neil’s attempt to block Google advertising on his ISP, Free. His stunt was overturned by the French government; but what lay behind it was a serious question. The content – and advertising that goes with it – that Google and others provide requires ever greater bandwidth; but, like spoiled toddlers, they expect the ISPs and telcos to pay for the infrastructure without any share in the advertising revenues. It is not sustainable; the industry needs to mature, and find a compromise, this should help the development of further media recruitment. At this time every year, The Guardian publishes its Media 100 – a list of the most powerful people in the UK sector. At this time every year, our media executive search team spends 20 minutes in the office dissecting it, and some time texting those people we know with jokey messages about their brilliance or under-representation. And at this time every year, I write nothing about it.